The students of SMAN 1 Kupang Timur attended the national examination on April 04, 2016. National Examination (UN/Ujian Nasional) is an education standard evaluation system. In 2016, national examination for students of SMA/SMK held from April 04, 2016 until April 07, 2016. Dra. Yayuk. 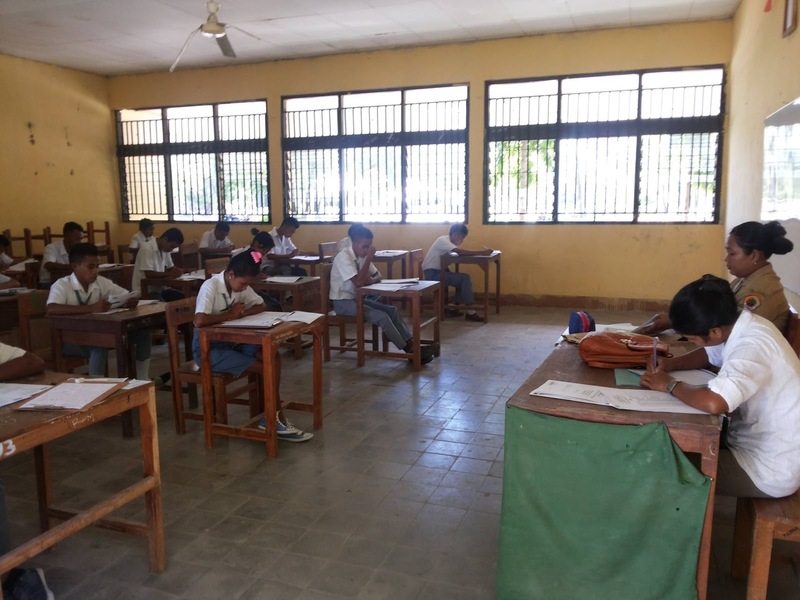 E. Y. Hardaniari, MT; the head of PPO Department of Kupang Regency via telephone to Cakrawala NTT said that there are 4.540 SMA/SMK students in Kupang Regency who attend national examination in this year. Besides that, she also explained that there are 70 schools in Kupang Regency who held this national examination. Yayuk, as the head of PPO Department hoped that all the students and also the schools can get success in this national examination, both in the examination process and also in the examination result. She said like that because last years (2015), there were 40 schools in Kupang Regency got certificate from Kemendikbud as schools which have high integrity.